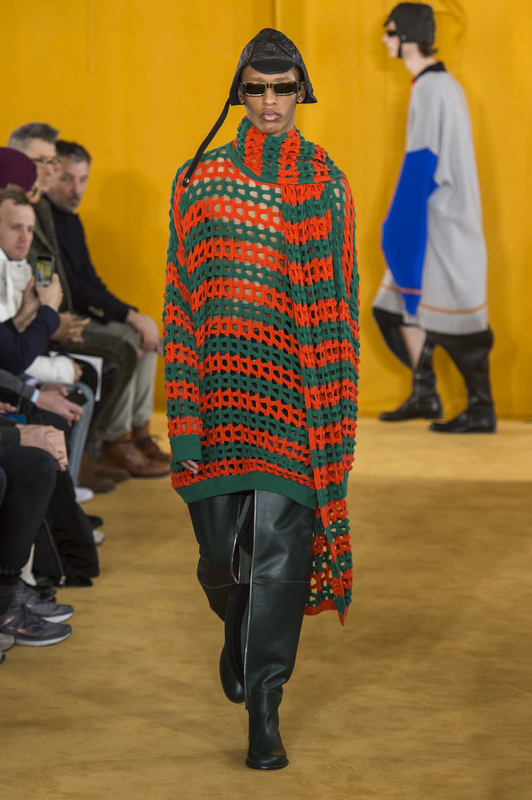 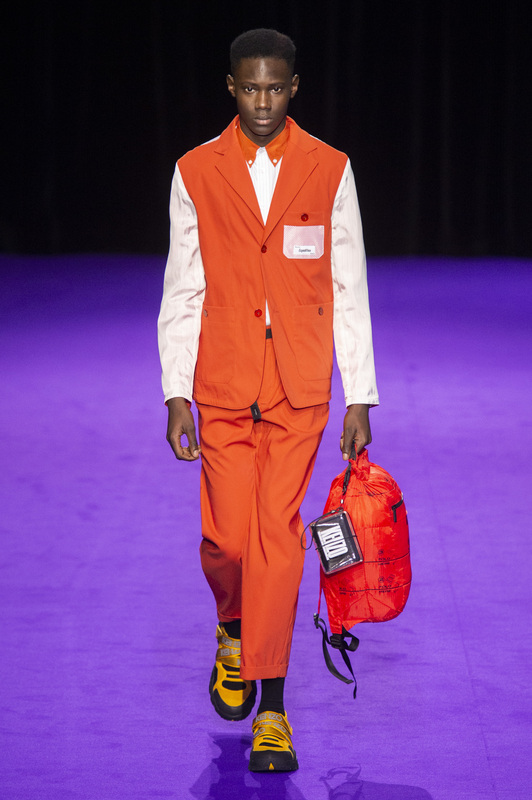 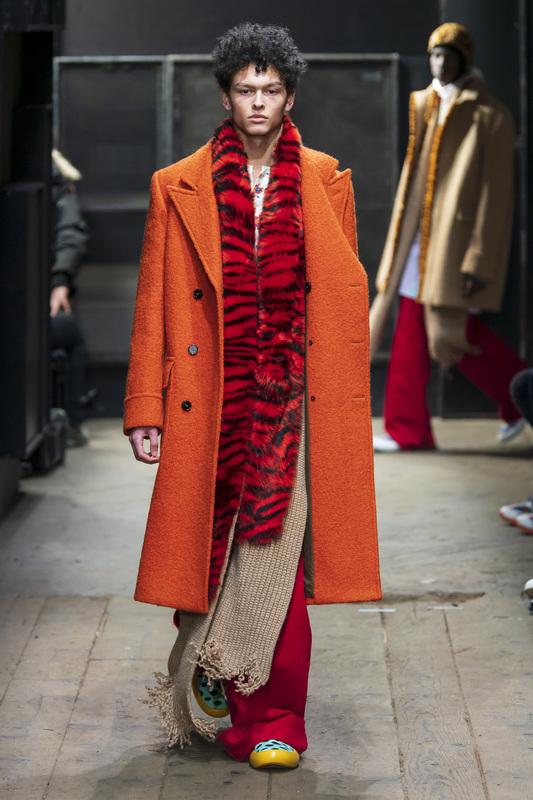 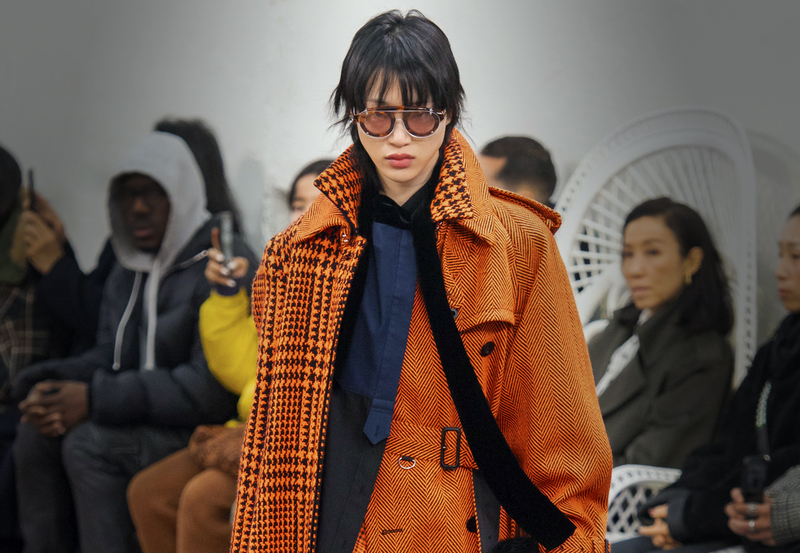 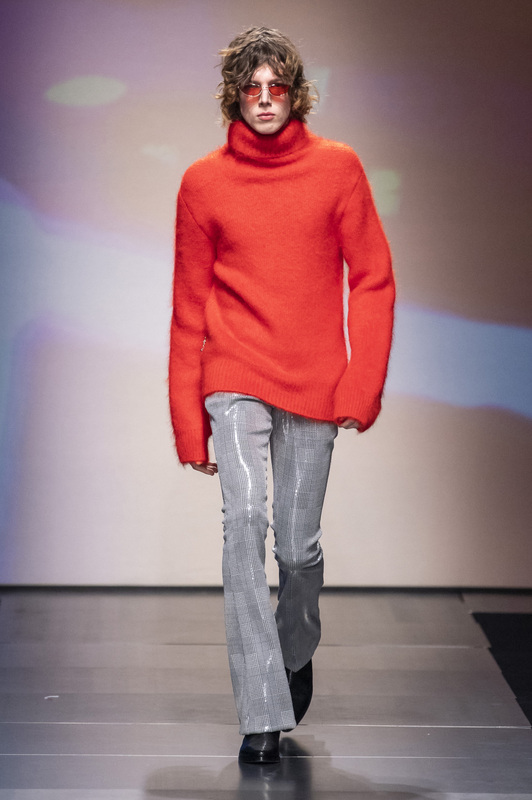 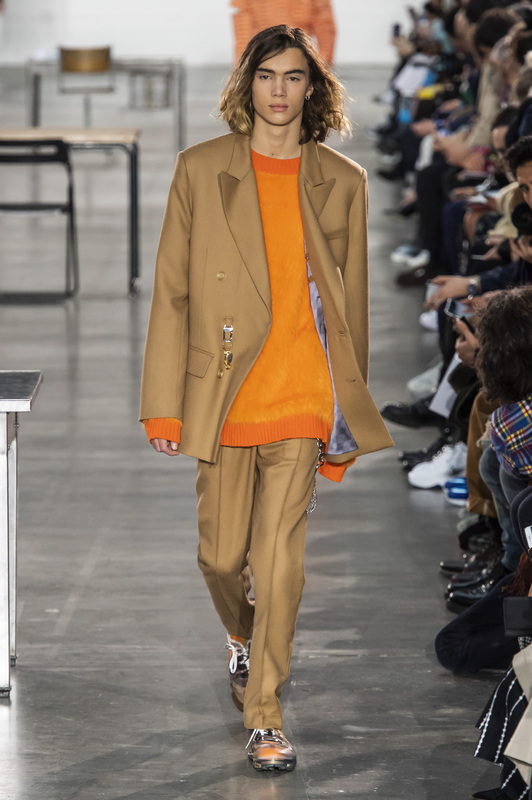 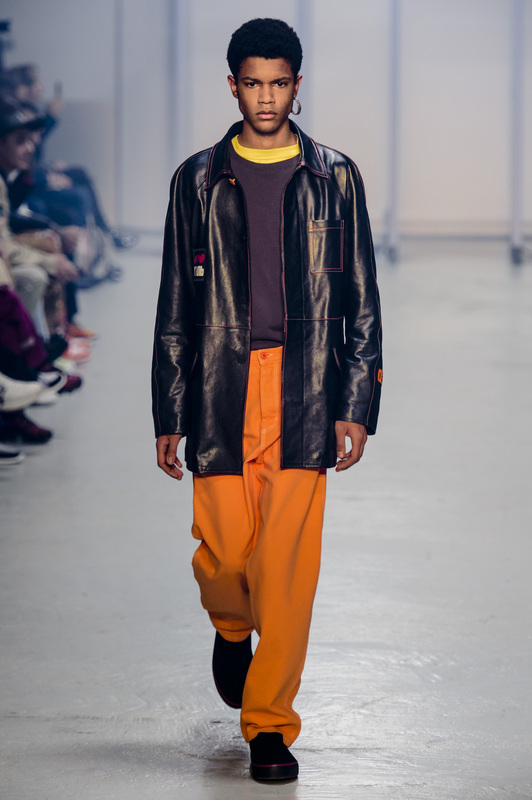 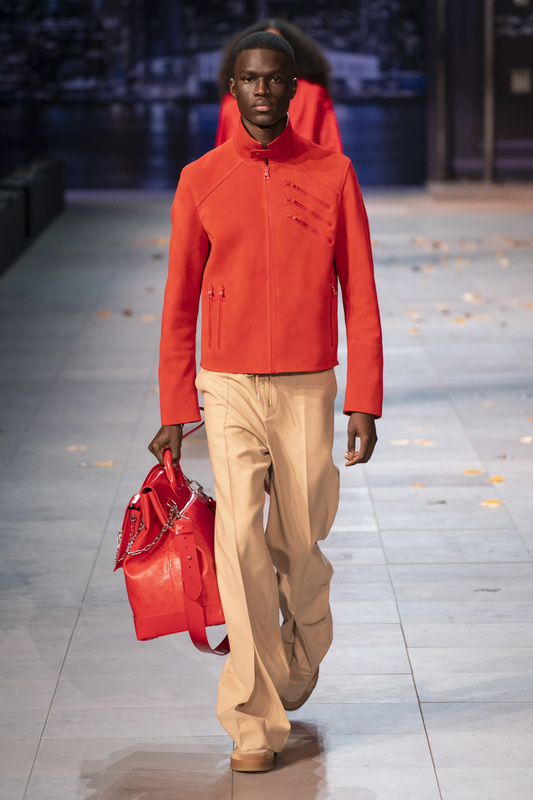 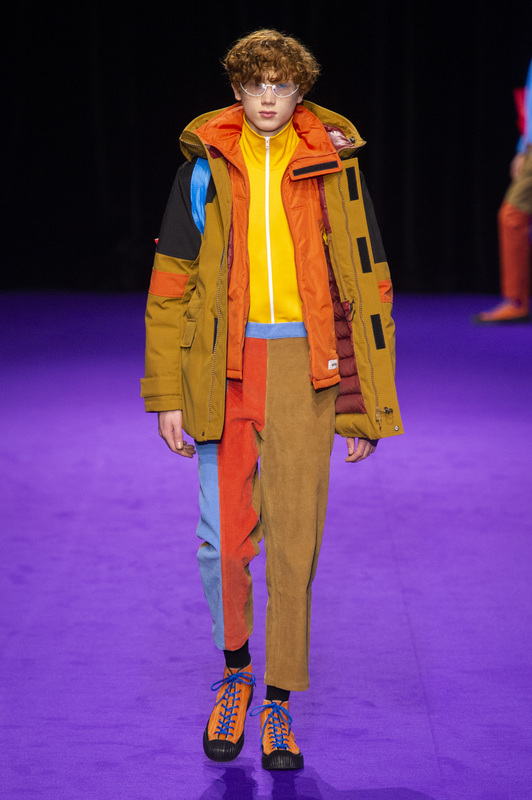 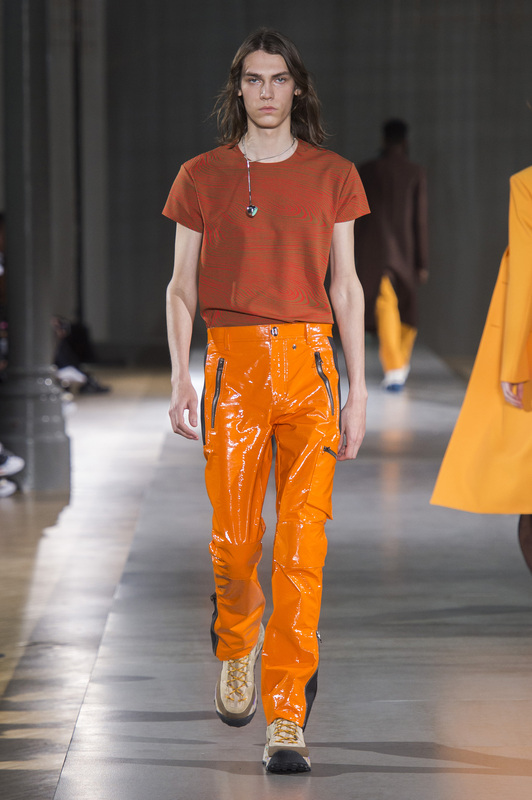 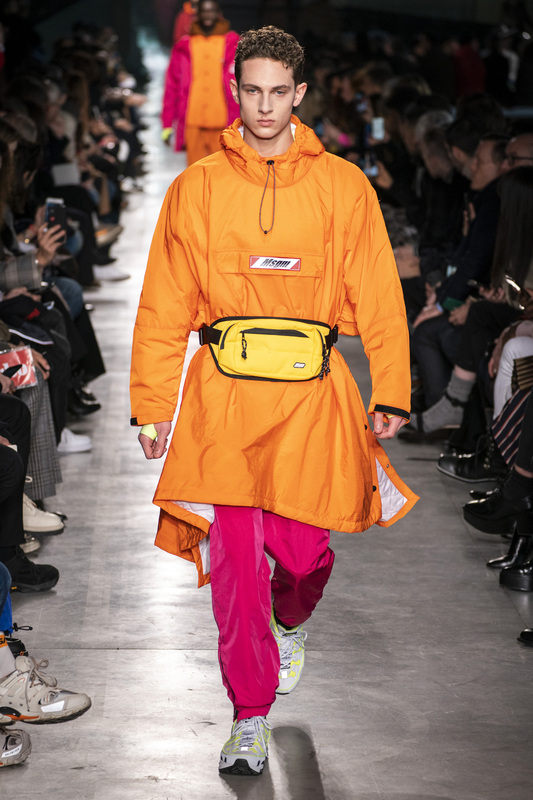 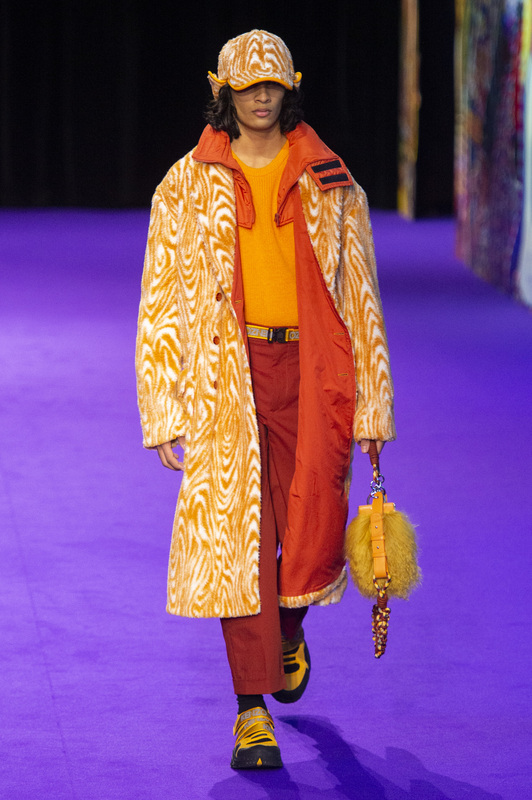 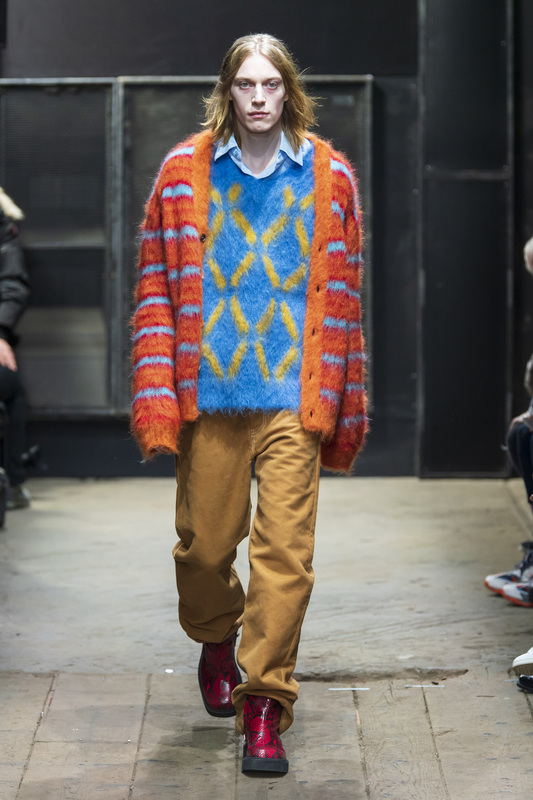 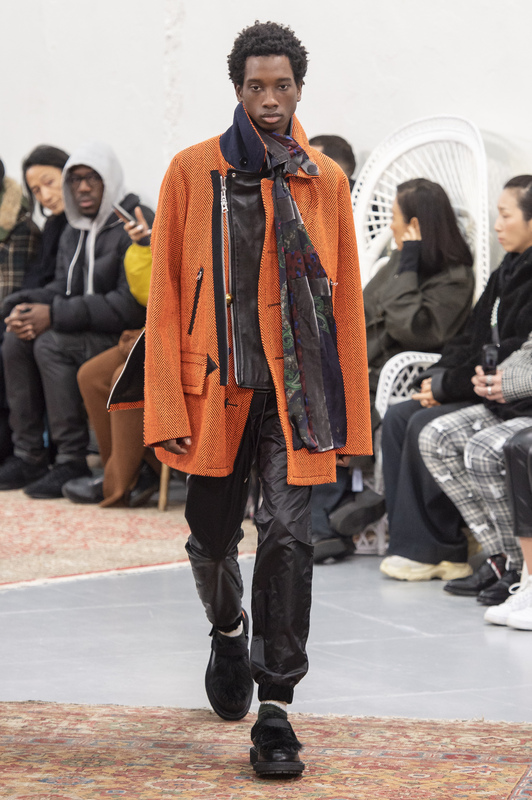 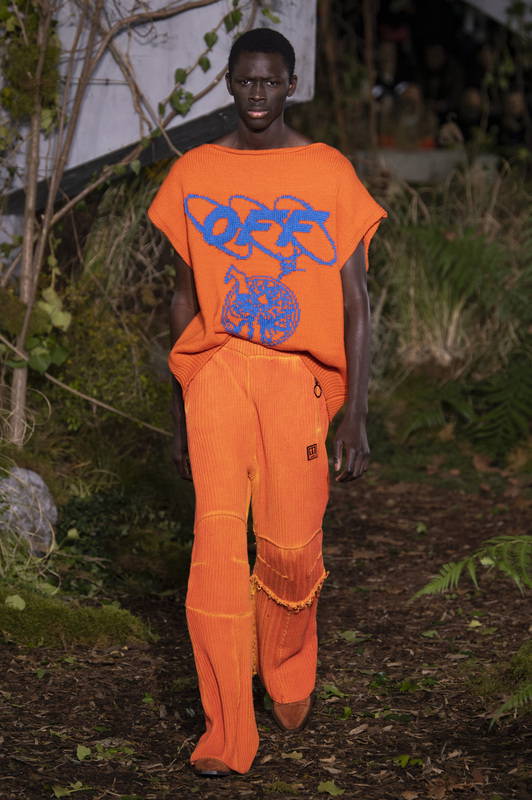 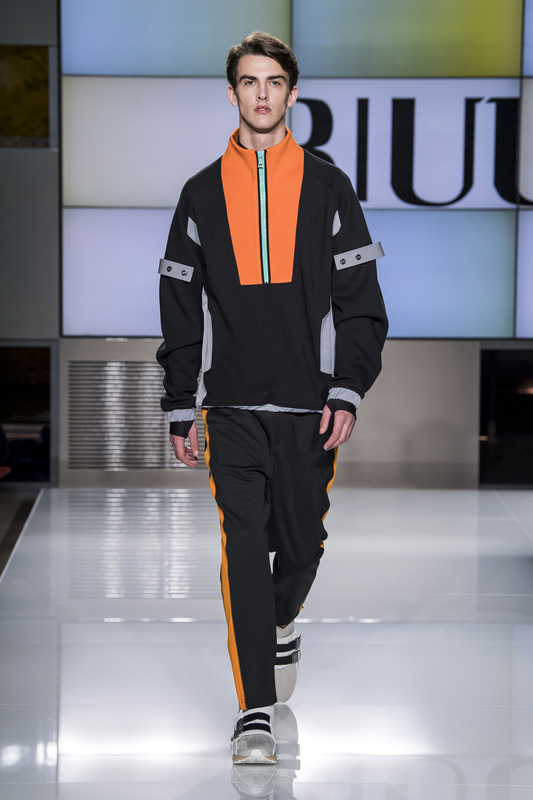 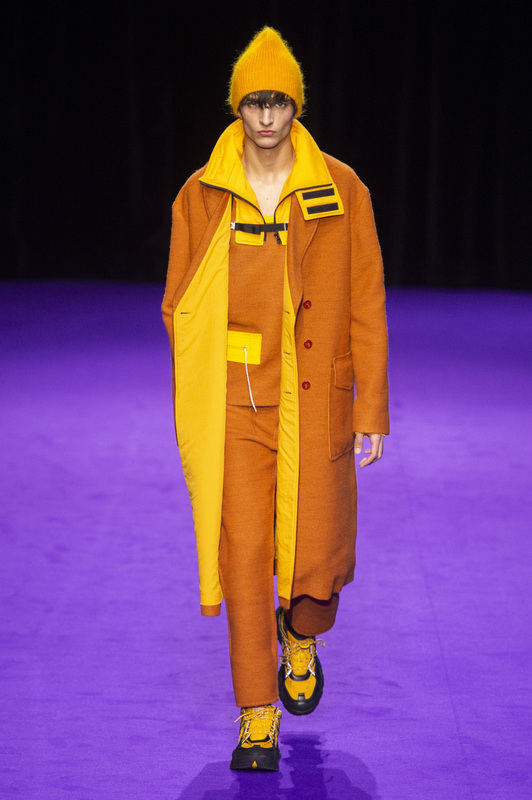 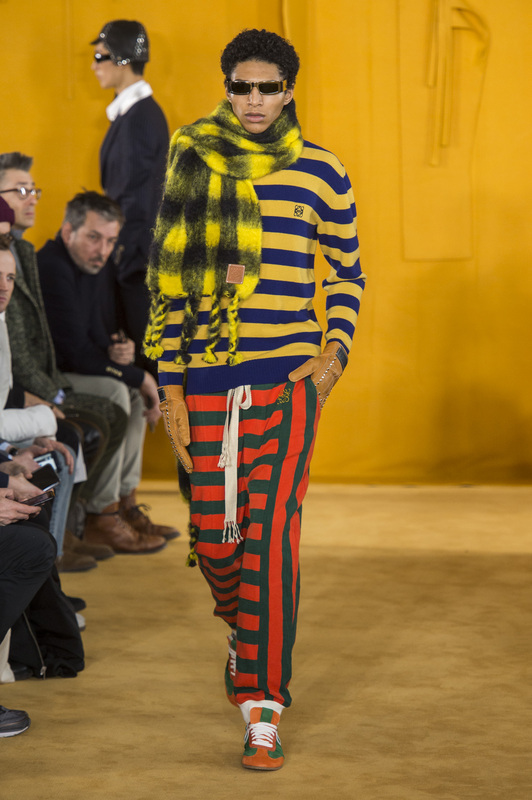 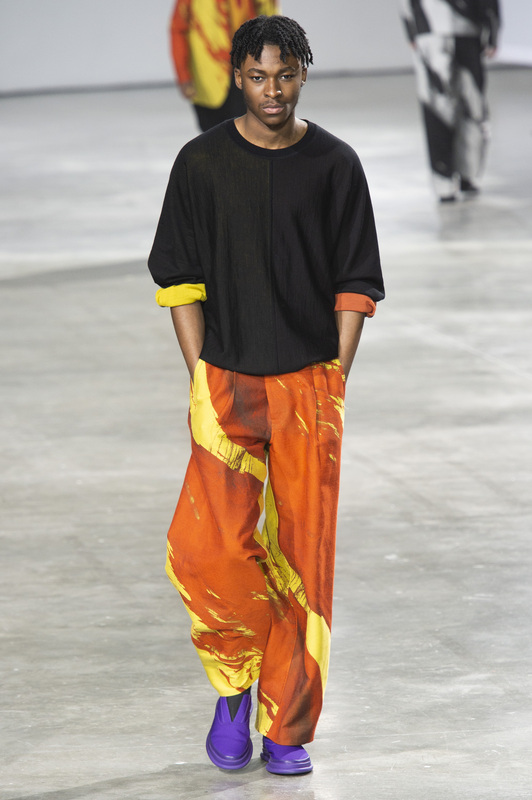 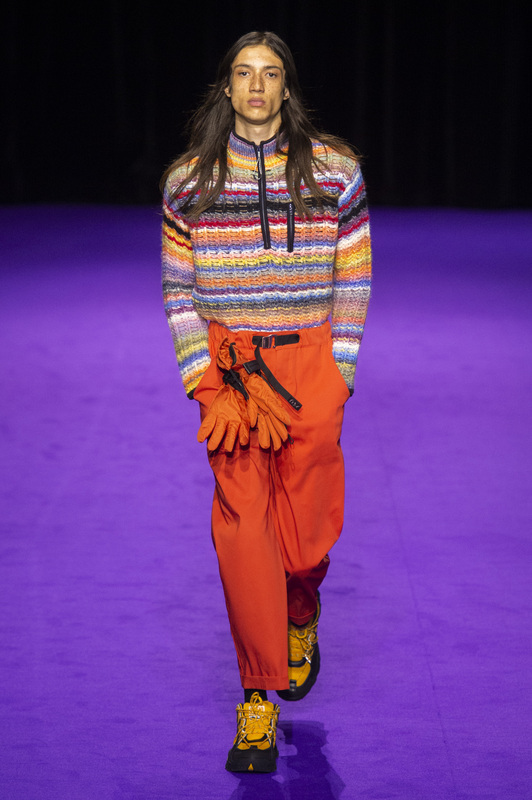 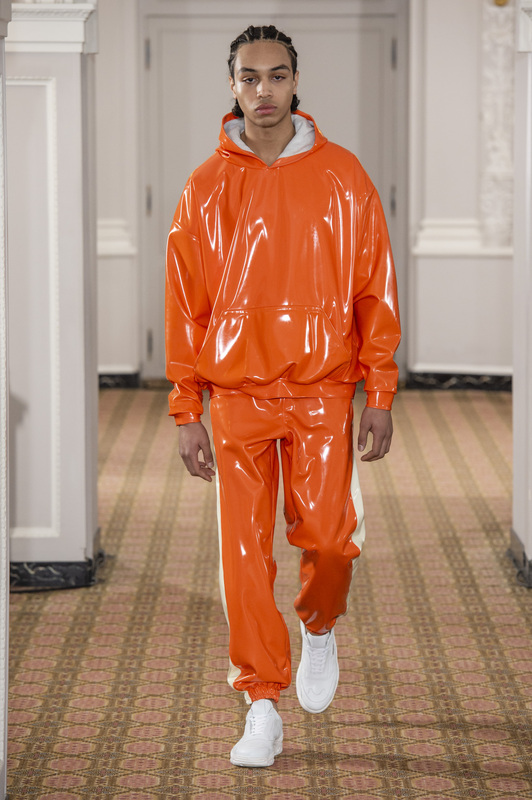 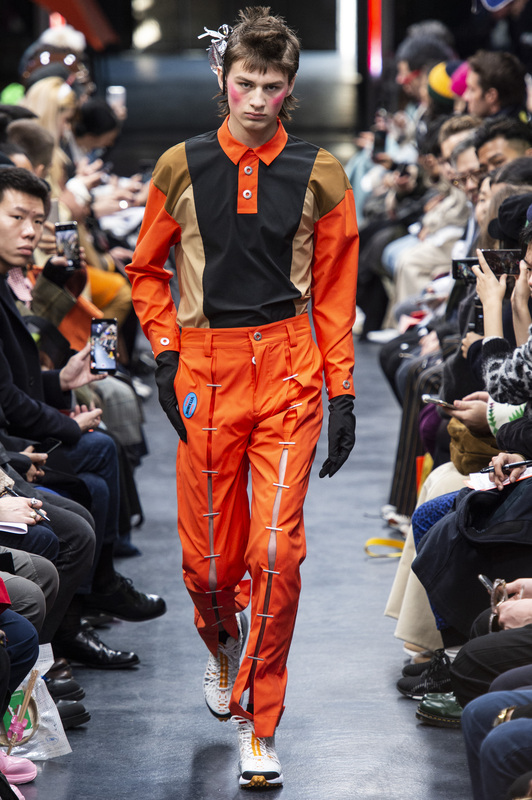 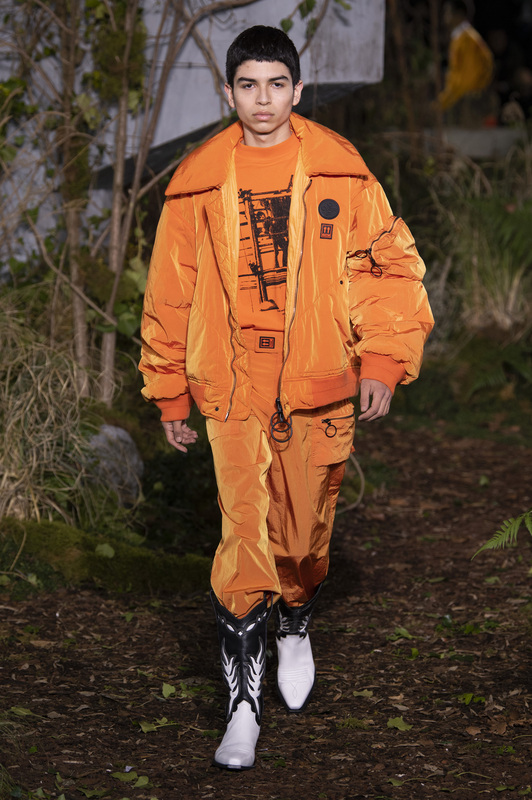 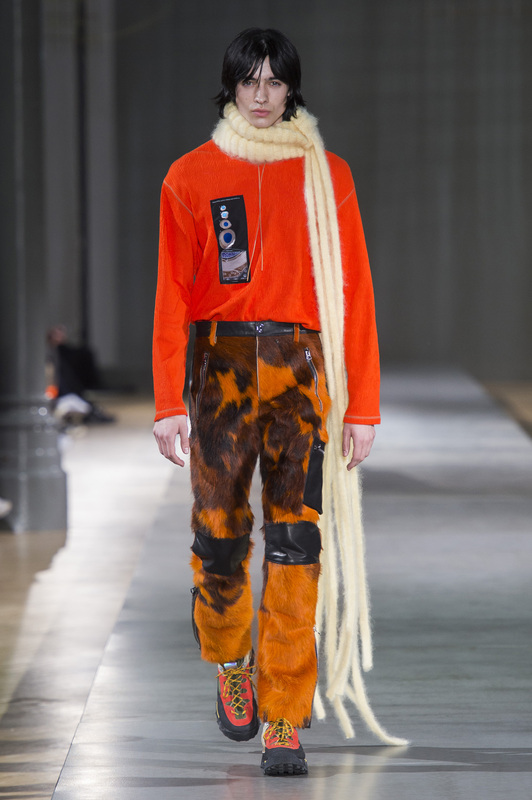 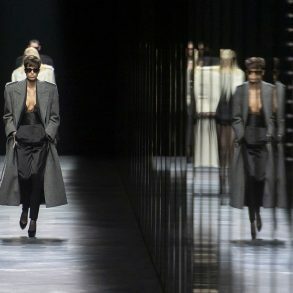 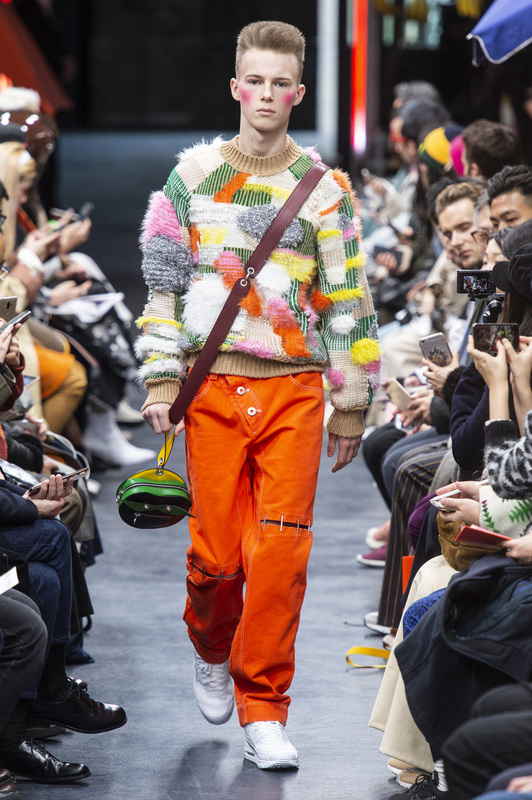 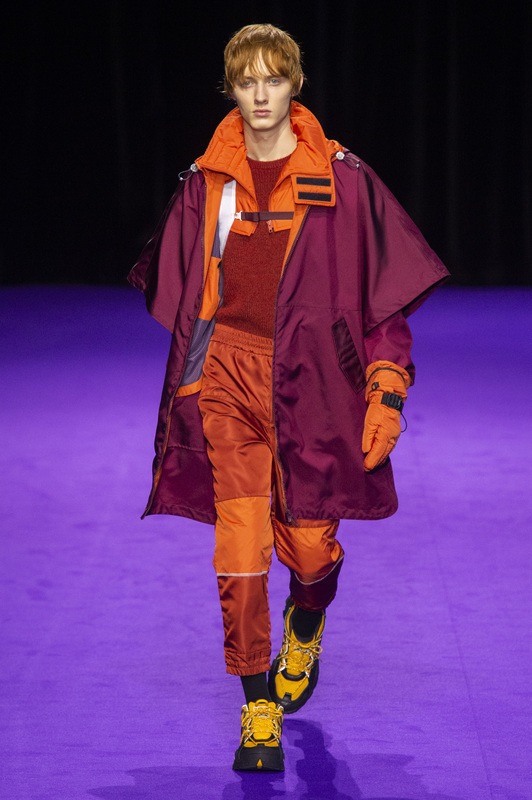 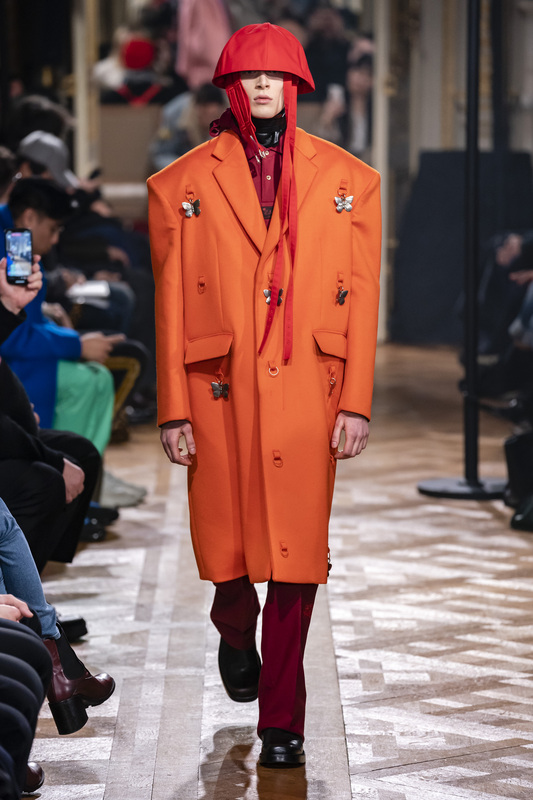 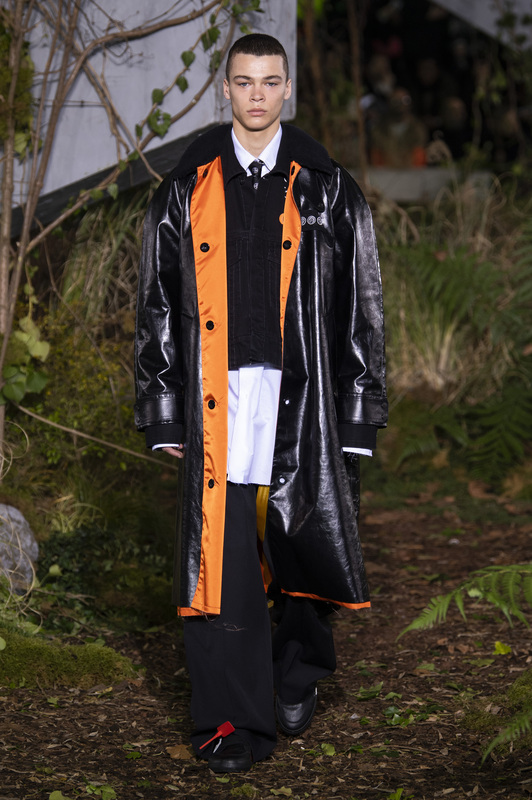 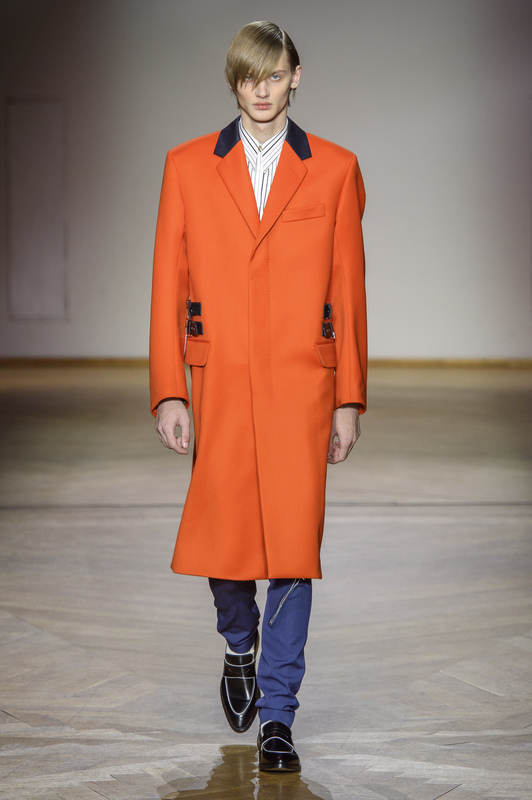 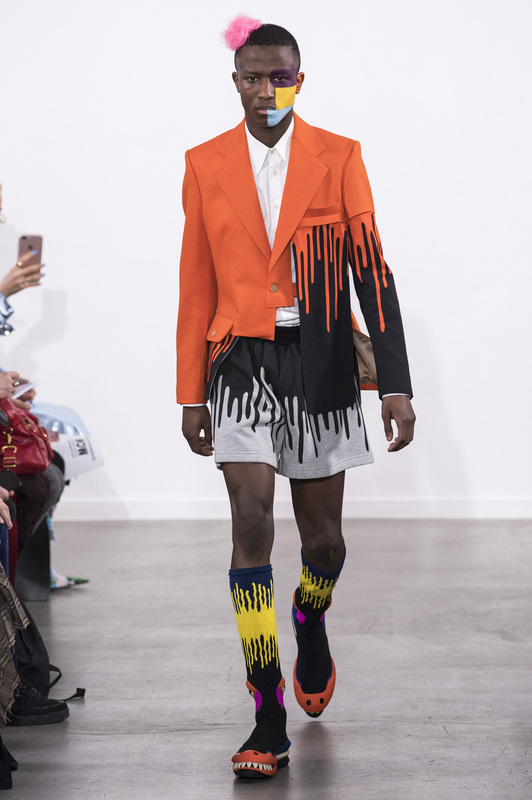 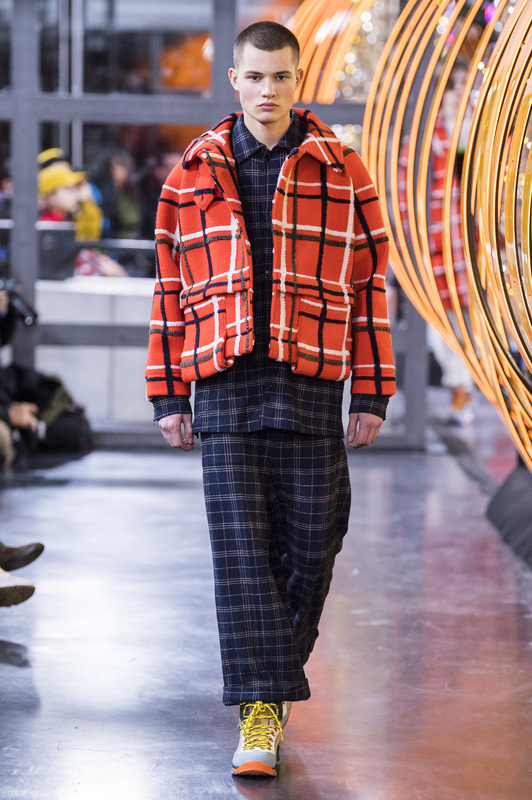 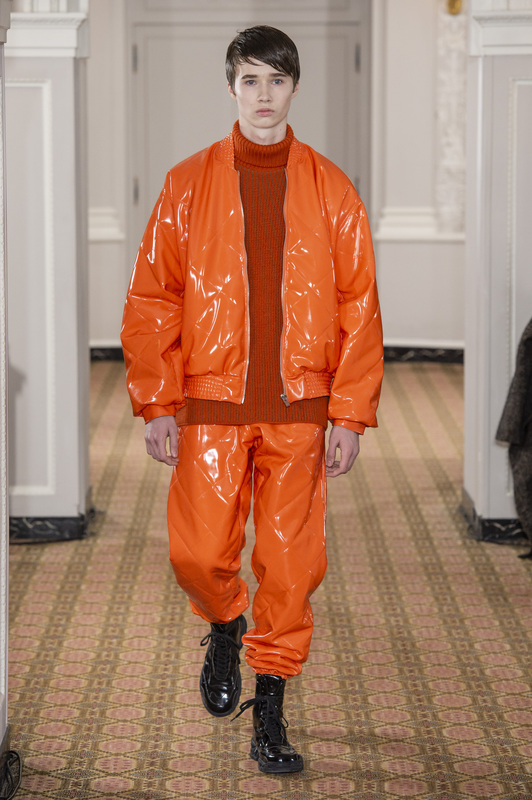 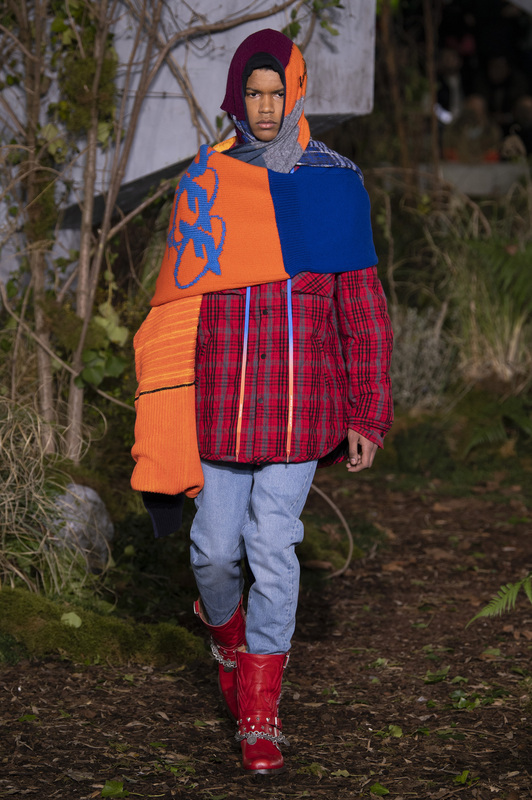 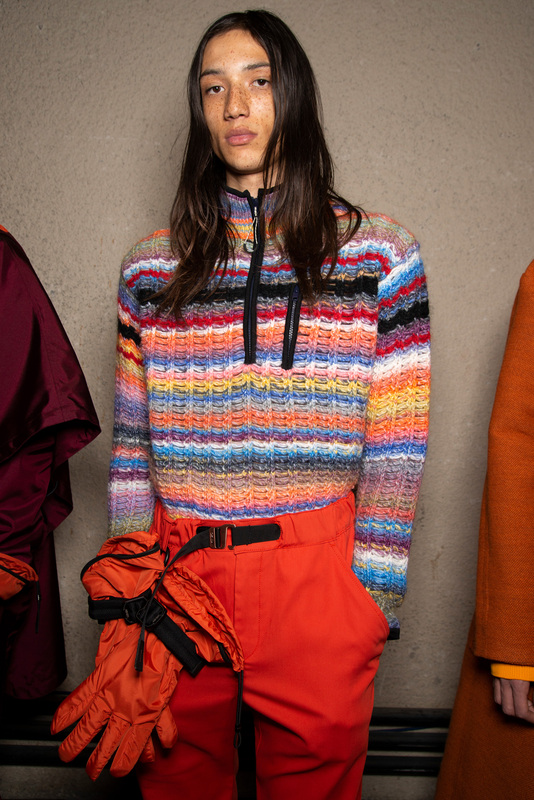 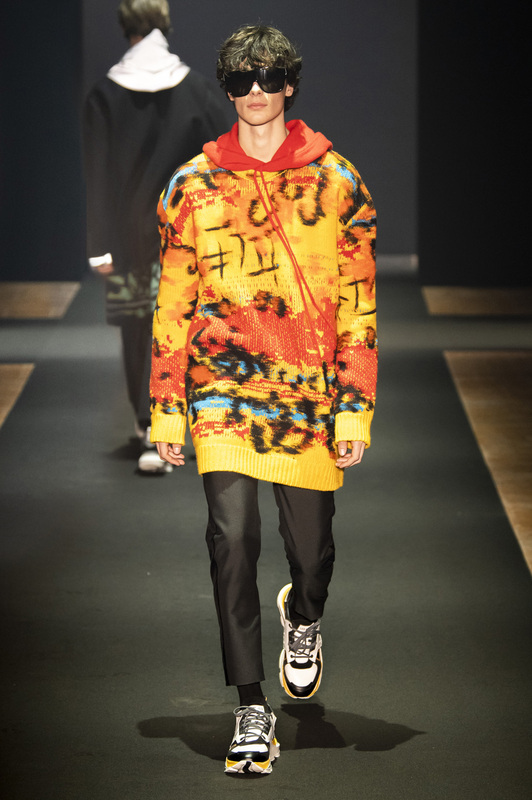 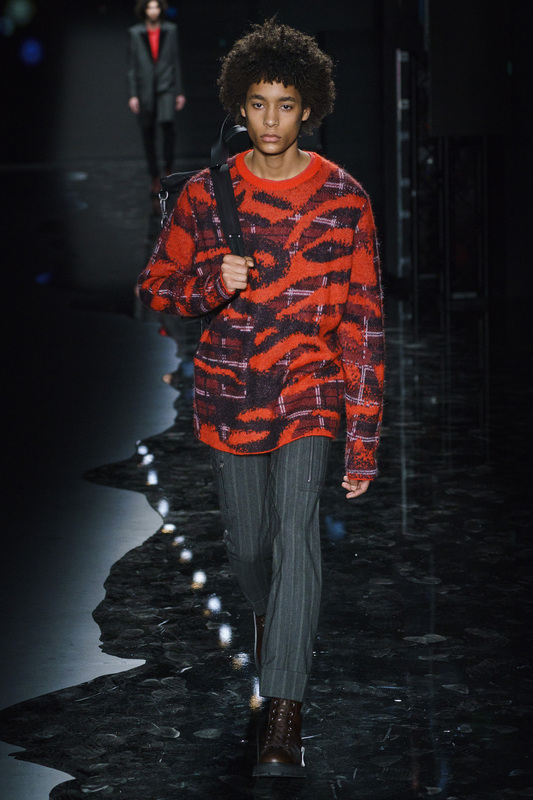 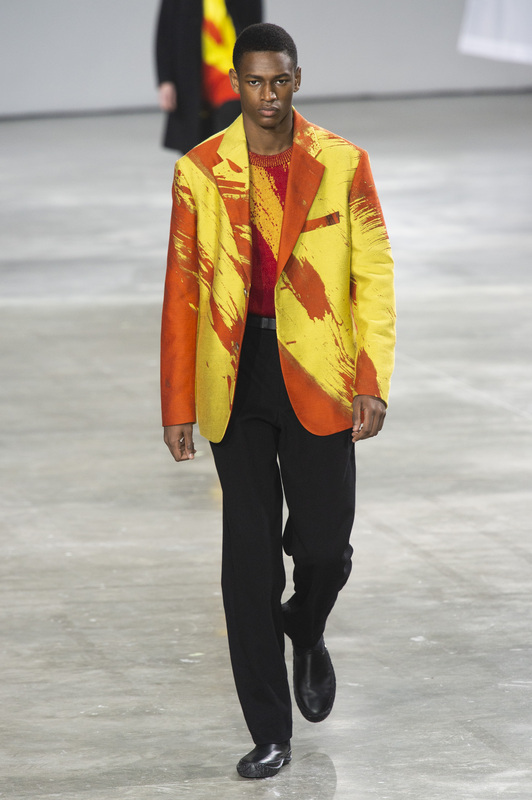 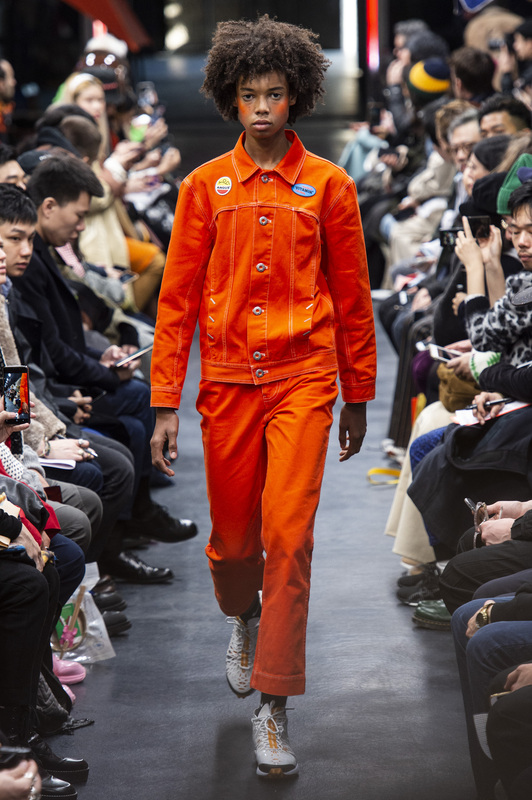 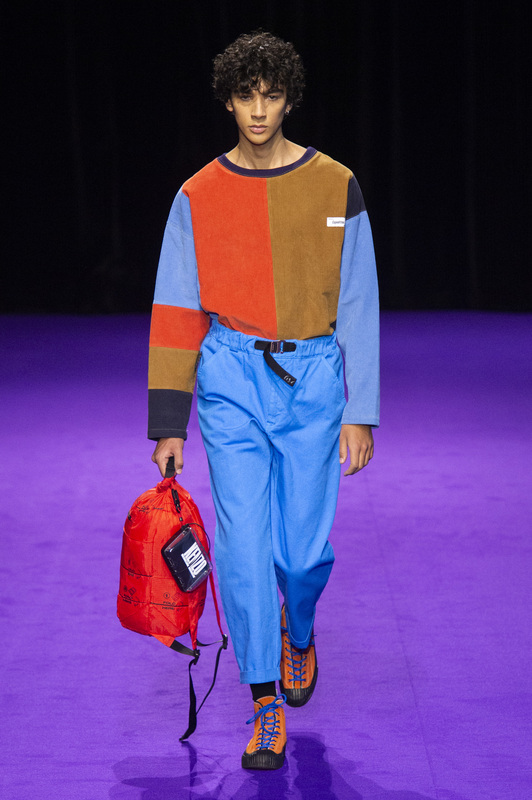 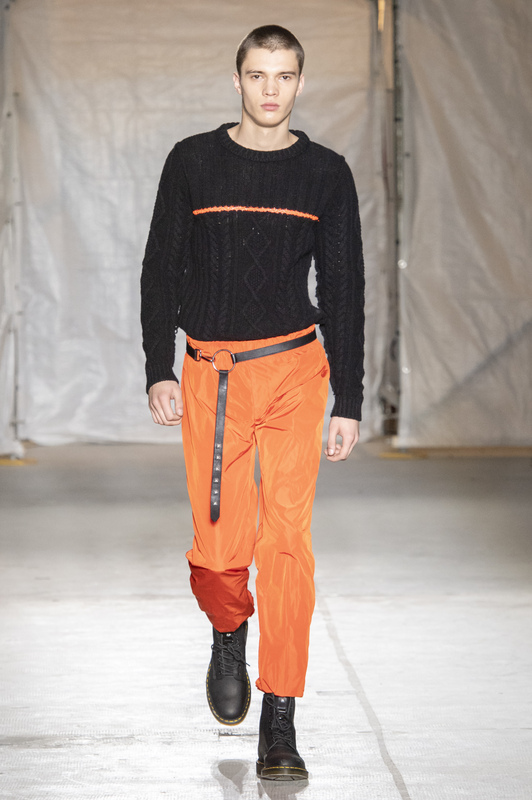 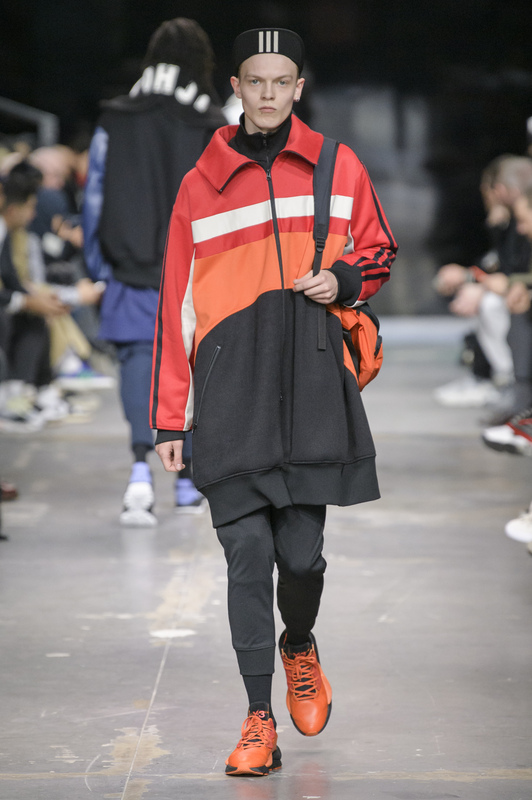 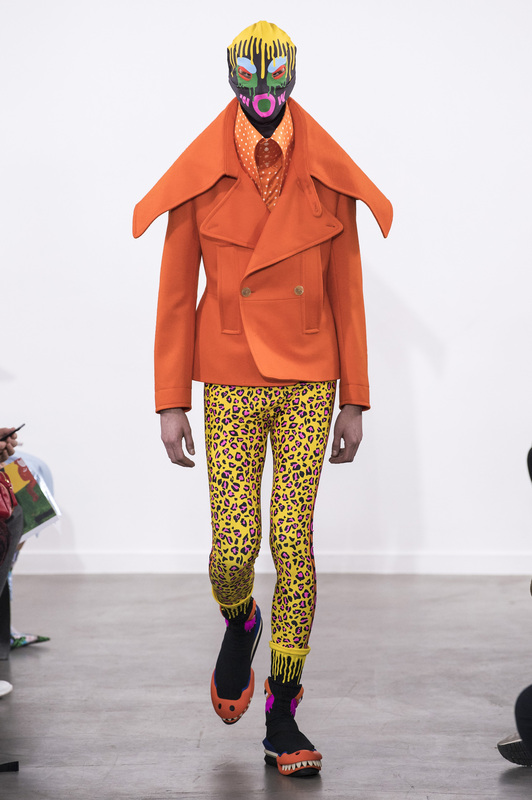 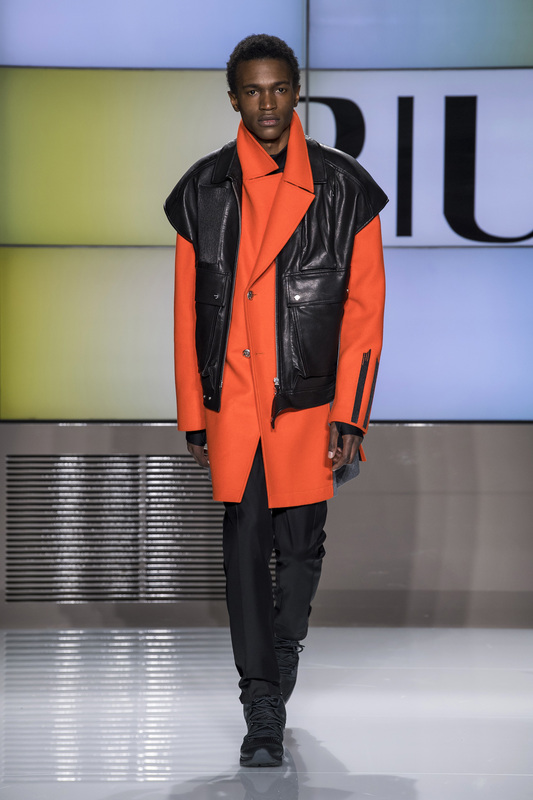 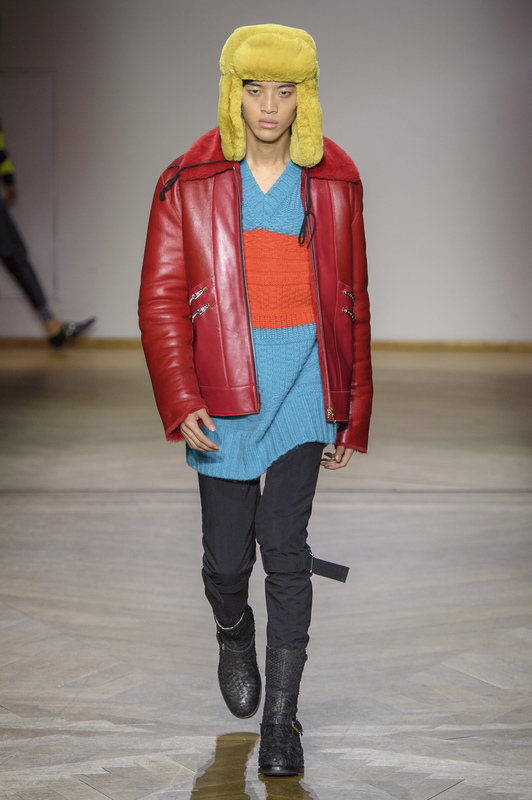 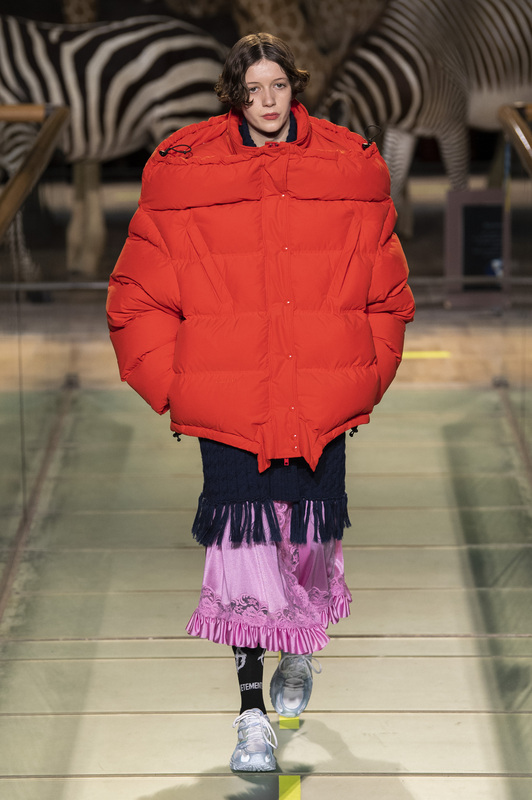 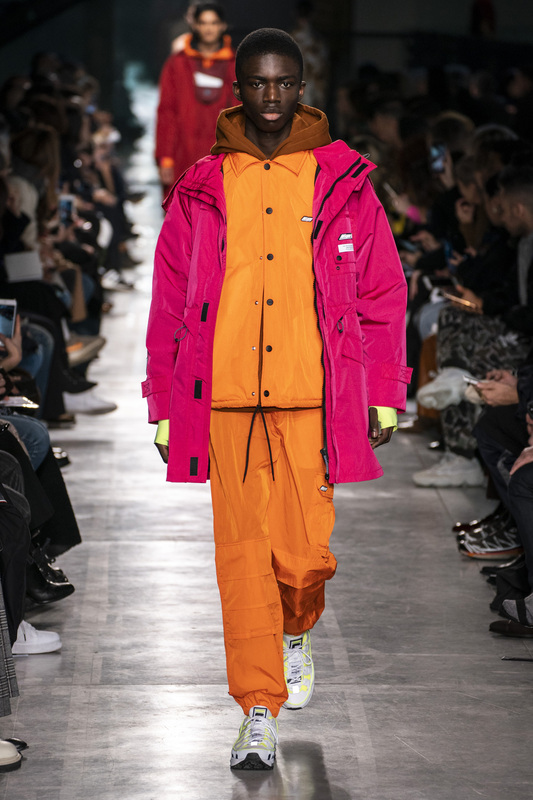 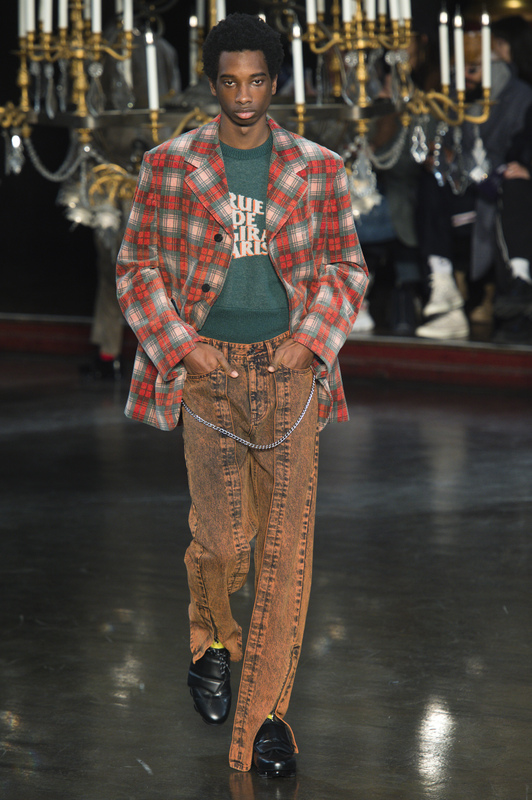 It would appear that ‘Orange really is the new black’ for designers this season as orange, in a range of shades, has become the Fall 2019 menswear color of the moment. 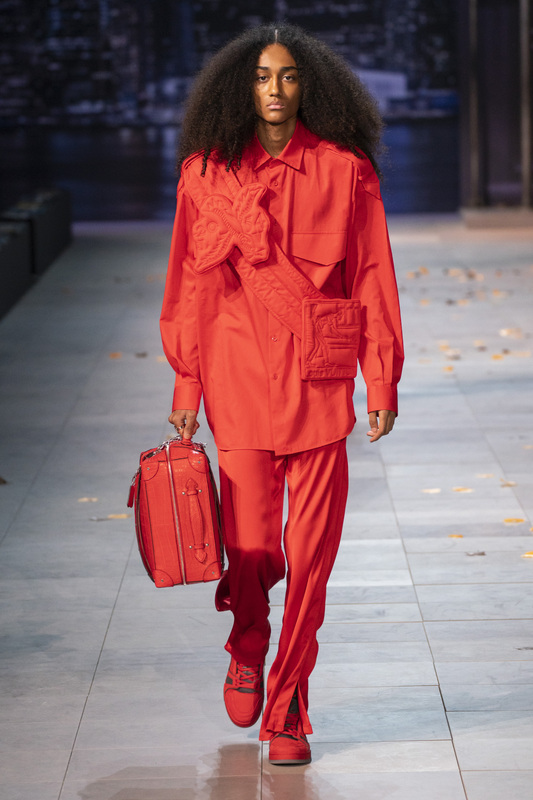 Strong statement colors have been an enduring trend for several seasons now, and Bright & Bold is definitely one of The Impression’s trends for Fall. 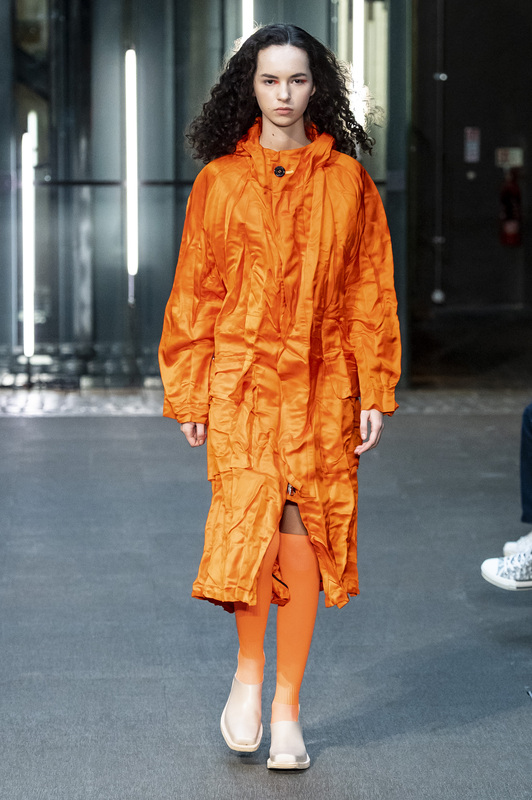 But while neons, hot pinks, kelly greens, and purples were out and about, no color dominated in the messaging as much as orange. 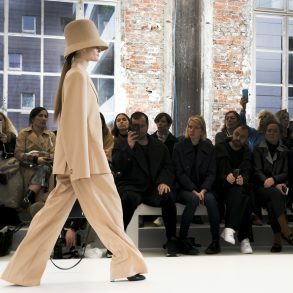 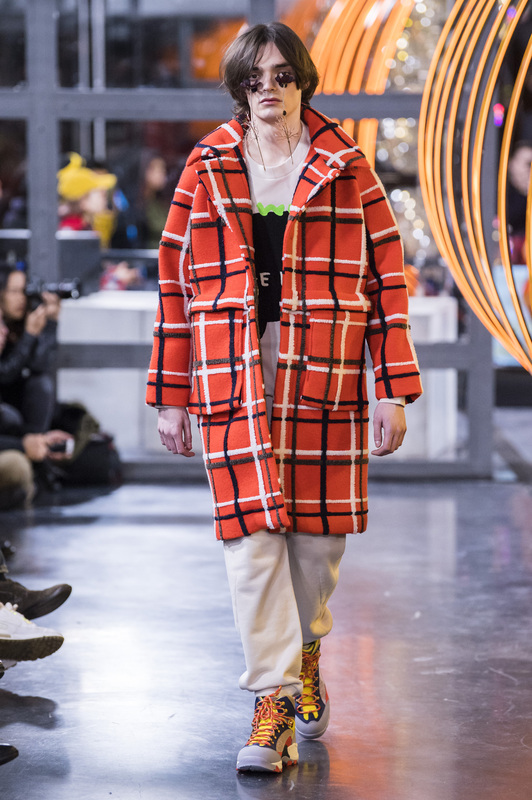 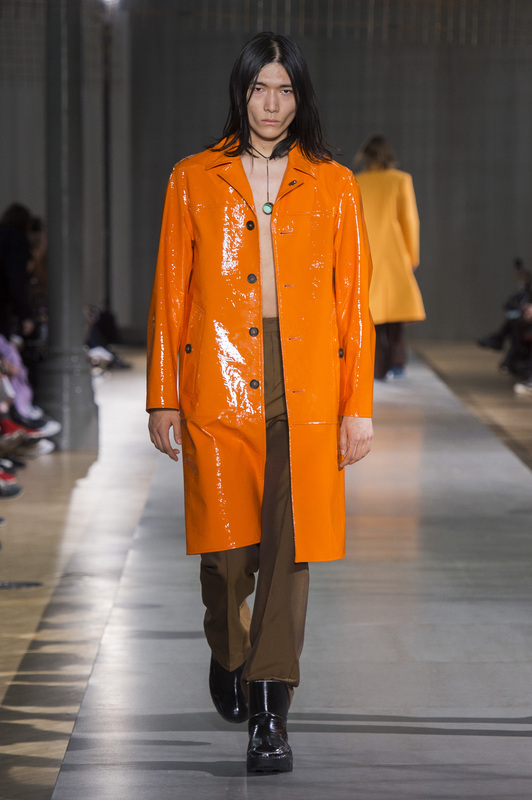 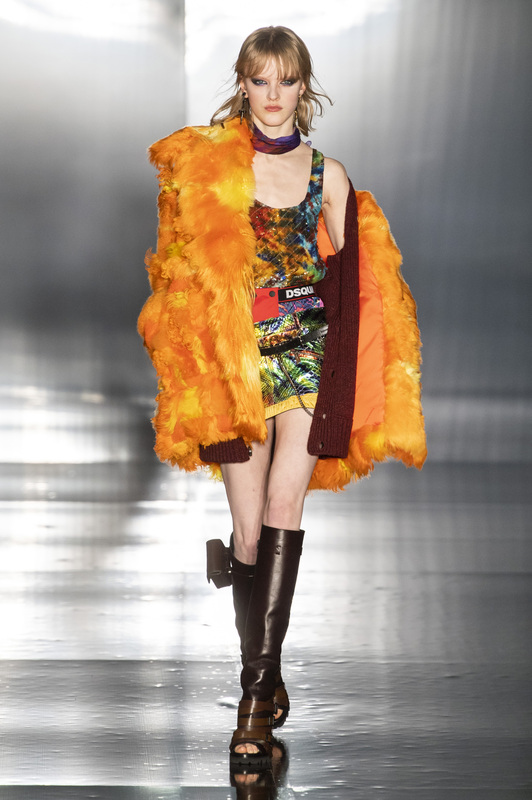 High-impact orange was seen at Acne Studios, Loewe, Marni, MSGM, Sacai, Dsquared2, Raf Simons, Vetements and more. 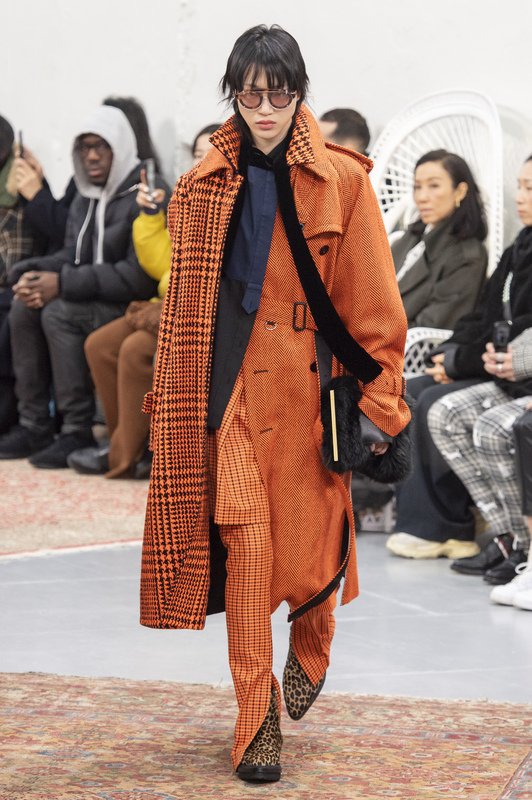 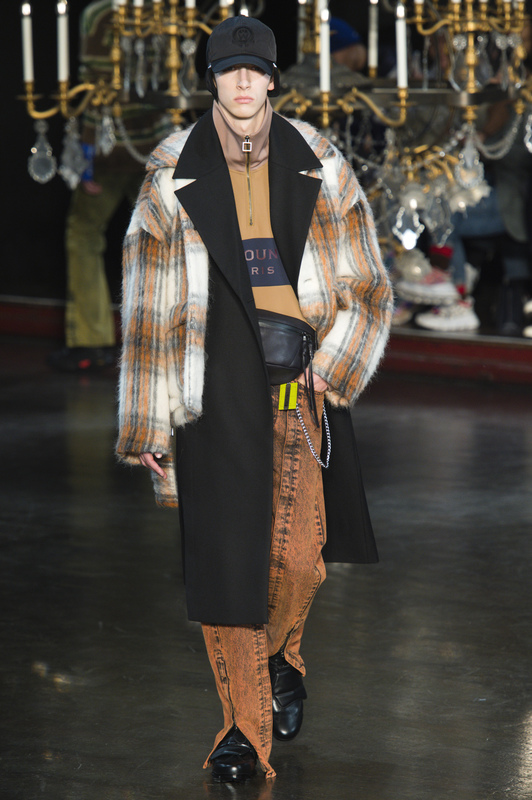 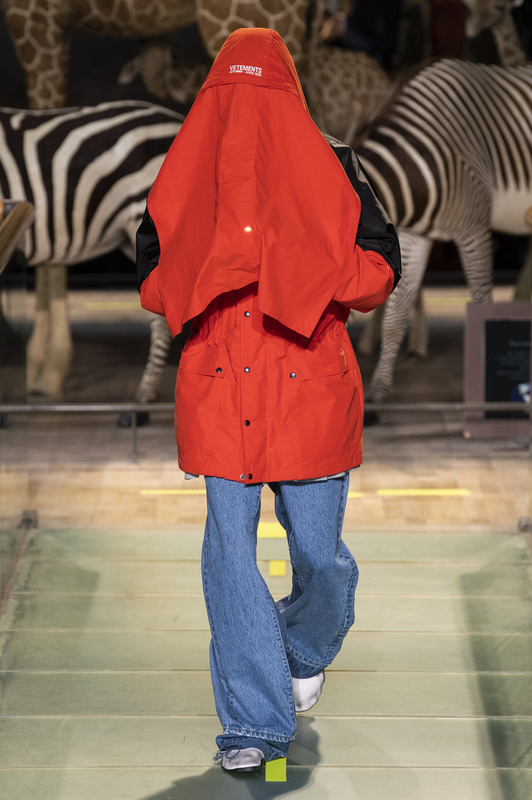 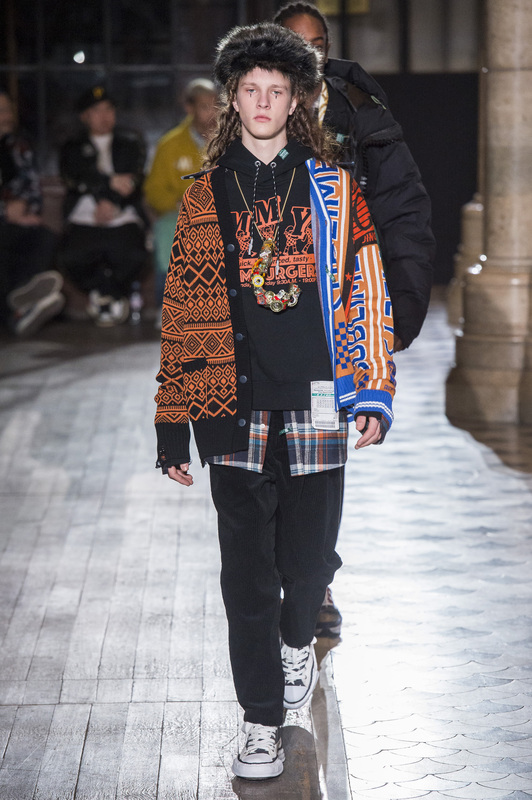 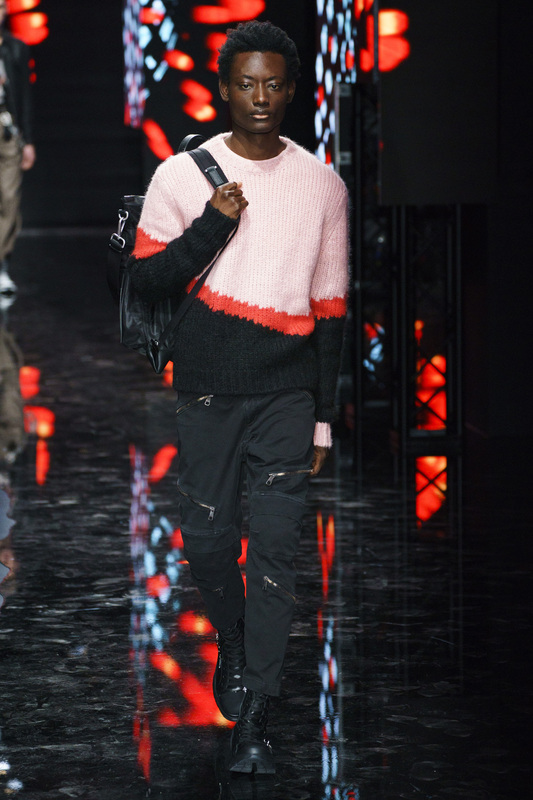 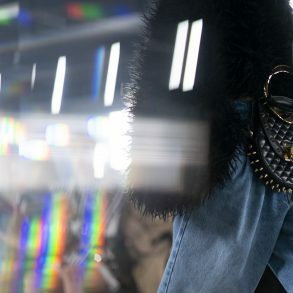 Virgil Abloh at Off-White paired the color in head-to-toe knit with cobalt blue, while his men’s Louis Vuitton collection owned an entire cranberry-orange ensemble complete with embossed crocodile carry-on.